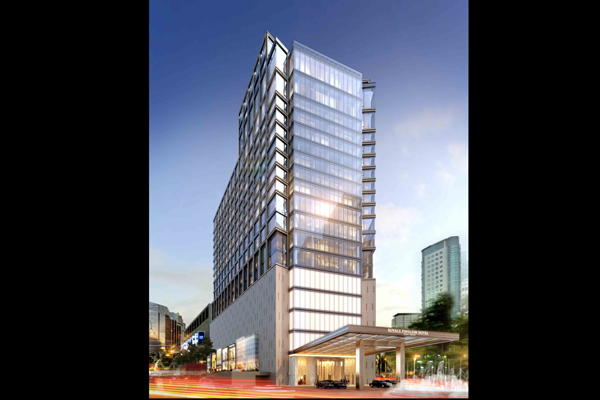 Pavilion Hotel Kuala Lumpur Managed by Banyan Tree - the first hotel property under the Pavilion Group - will officially open on December 1. Pavilion Hotel Kuala Lumpur stands 13 floors above Pavilion Kuala Lumpur, the award-winning six-storey shopping centre, adjacent to the Couture Precinct extension. Right in the heart of the capital of Malaysia, hotel guests have easy access to popular shopping hotspots and attractions – from well-known street markets such as Bukit Bintang to the best dining and nightlife experiences such as Jalan Alor and Changkat Bukit Bintang. They can also explore world-renowned landmarks such as Kuala Lumpur Tower, Petronas Towers and Kuala Lumpur Convention Centre, all within walking distance. Impeccable service and unrivalled experiences await guests at Pavilion Hotel Kuala Lumpur. The hotel features 325 rooms and suites decked in contemporary décor for the discerning traveller in need of an urban getaway. These include 115 City Oasis rooms, 60 Courtyard Oasis rooms and 45 Grand Oasis rooms. For guests who enjoy a bit more exclusivity, the hotel has four dedicated club floors, including 59 Club City Oasis rooms and 20 Club Grand Oasis rooms. Club room guests have exclusive access to the Club Lounge located on Level 14, relaxing with a delectable breakfast spread, light bites or cocktails while taking in the magnificent view of Kuala Lumpur’s cityscape. There are also 26 contemporary suites available for an extra touch of luxe and space: 16 Urban Studio Suites, eight Urban Suites, one Pavilion Suite and one Presidential Suite. In the world of dining, guests are in for a treat with a dedicated and skilful food and beverage (F&B) team. Level 8 houses The Courtyard, the hotel’s all-day dining restaurant that offers a mouth-watering smorgasbord of Southeast Asian-inspired cuisine. Guests can also dine at Ebisu, a restaurant and bar space featuring an array of Japanese cuisine with a twist. On Level 7M, the Whisky Cove is the place to unwind with a wide selection of whiskies and blends from around the world. Pavilion Hotel Kuala Lumpur also offers a range of meeting and event facilities suitable for all occasions. The total event space measures 1,298-sq-m, with a ballroom that can accommodate up to 500 persons, a crescent-shaped venue that sits 120 persons in banquet setting and five fully-equipped meeting rooms that can accommodate 40 persons per room. The urban escapade is not complete without a rejuvenating experience at the award-winning Banyan Tree Spa. A selection of Asian-inspired treatments are available and with highly-skilled therapists who have undergone a minimum of 350 hours of training at Banyan Tree Spa Academy, guests are in for a pampering time. The Sky Gym and Rooftop Infinity Pool are located on Level 18, offering an unparalleled view of Kuala Lumpur. Guests can shop at Banyan Tree Gallery, the hotel’s dedicated retail outlet offering a collection of handicrafts, resort apparels and signature spa amenities. “This effervescent and cosmopolitan city is filled with vibrant beauty and diversity. With the flourishing business landscape that Kuala Lumpur possesses, this charming city has become a mecca of sorts for both tourists and business travellers around the world. In addition, some of the best shopping malls in the world, as well as modern and historical landmarks – are within a stone’s throw away. Pavilion Hotel Kuala Lumpur is in an ideal hotel destination for business travellers and holidaymakers -- and even locals looking for a pampering staycation,” said Anders Dimblad, general manager of Pavilion Hotel Kuala Lumpur and Banyan Tree Kuala Lumpur.